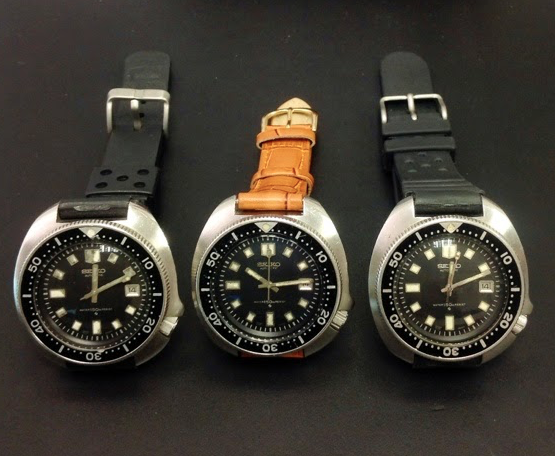 Whether you call them homages or re-releases, Seiko has produced watches with the lines of the 6309 and 62MAS. If Seiko reads this forum, I'm wondering if a 6105-8119 is next? Oh man, that would be so great to see DiverDoc ! if we really will be seeing them in 2019, or in the future like you are saying. Such a terrific idea, and topic. THX, and welcome by the way ! Ohhh Yeahh! Great thinking DD. Am I up to speed here? Seiko is releasing/rereleasing this watch? Whattever. out he didn't have one after all. Whatta bummer.